This is the Canna stamp, which was issued in Oct 1958 and was used on commercial mail by the Estate office and sold to visitors and collectors at 1d each, from the sub post office. The proceeds from the stamp went to the ‘Shipwrecked Fishermen and Mariners Society. 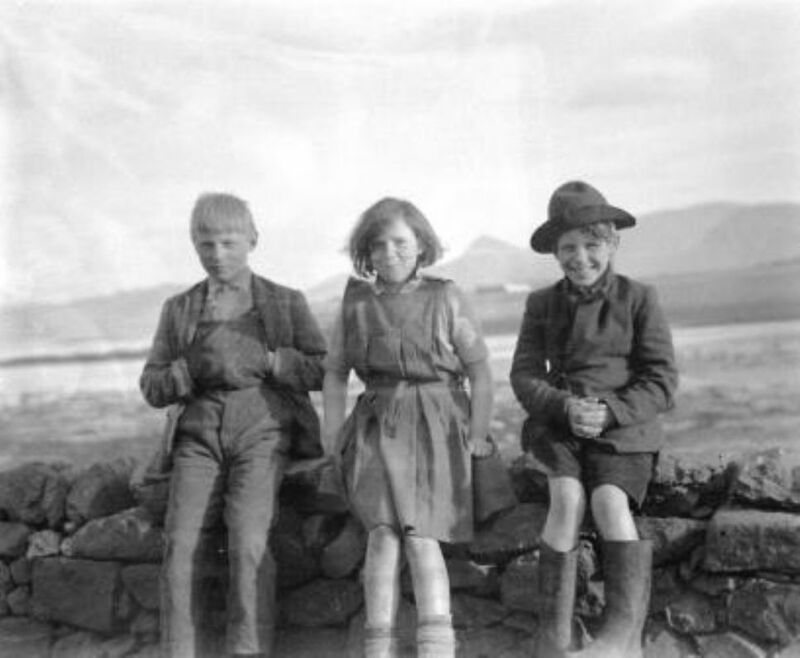 John Lorne Campbell commissioned the stamp and to date it is the only stamp ever issued from Canna. The stamp was designed by Mr Len Fullerton of Fife and depicts a pair of Manx Shearwaters flying over the sea with Compass Hill in the background. 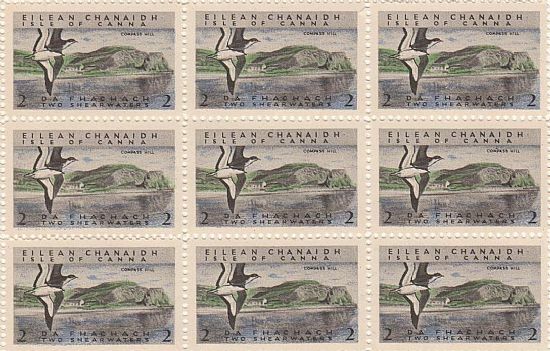 It has the name of Isle of Canna in both English and Gaelic, and was printed by George Waterstone & Sons Ltd in Edinburgh who printed 50,400 stamps in sheets of 60.